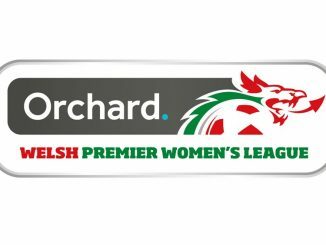 Despite a brave effort, Swansea City failed to make it through their UWCL qualifying group last week, but they must now focus on defending their Orchard WPWL title, with the new season kicking-off on Sunday, reports welshpremierwomensleague.co.uk. Swansea City claimed the Orchard WPWL title last season to end a run of three consecutive league championships for Cardiff Met and lift the trophy for the first time since 2011. However, Swansea have been granted a free weekend to recover from their European experience in the Romanian city of Cluj. The champions have also strengthened during the summer months with the acquisition of Georgia Roberts-Powell and Ellie Lake from Cardiff City, together with impressive defender Alison Witts from Swindon Town. Also returning to the club is Lauren Hancock, who is expected to return to fitness in October. “The newcomers have settled in to the squad well and will be good additions for us ahead of the new season,” Owen added. And his side will need to be at their best in order to defend their title, as the nature of Cardiff Met means that Dr Kerry Harris will have a wider pool of players to choose from when the new season begins. 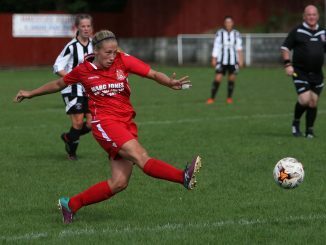 Last season marked a year of transition for Harris and her young side, but they still enjoyed a domestic cup double as they defeated Abergavenny to lift the WPWL League Cup, and rivals Swansea City to claim the FAW Women’s Cup. Abergavenny may have lost out to Cardiff Met in the WPWL League Cup final, but Richie Jeremiah’s talented side were rewarded for their efforts at the annual presentation evening as Katrina French and Lyndsey Davies claimed the WPWL Player of the Year and WPWL Golden Boot awards respectively. Jeremiah has also been busy during the summer, and welcomes a number of new recruits to the Pen-y-Pound Stadium ahead of Sunday’s opening match against Llandudno. Rhyl left it late to avoid the drop last season, and it was a 4-0 victory over Aberystwyth Town on the penultimate weekend that handed them the advantage heading into the final matchday. As a result, the Seasiders were relegated along with Briton Ferry, and their places in the WPWL have been taken by Caernarfon Town and Caldicot Town. Rhyl now head to Caldicot to start the new season on Sunday, and manager Tom Jamieson will be hoping his side can build on a positive end to the last campaign. “We’re very happy with all the players that have committed for another season,” he said. Caernarfon Town will mark their return to the WPWL on Sunday with a long journey to take on former league champions Cardiff City FC, who lifted the title in 2013. However, the team from the capital finished third last season, and will be keen to make a stronger challenge in the coming campaign. The opening weekend’s action is completed at Cyncoed as they host Port Talbot Town. The impressive Alice Griffiths was rewarded for her efforts at Cyncoed last season by claiming the WPWL Young Players of the Year award, and also gained international recognition by becoming part of Jayne Ludlow’s senior Wales squad. Meanwhile, Port Talbot Town have enjoyed an impressive pre-season campaign under the guidance of new manager Jason Rees, and he will be keen for his side not to again struggle at the wrong end of the table this coming season.